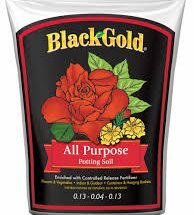 Black Gold All Purpose Potting Soil with Controlled Release Fertilizer is a multi-purpose, nutrient-rich mix that’s ideal for all plants, including house plants, patio containers, and hanging baskets. Specially formulated to feed up to six months and provide both moisture retention and good drainage. 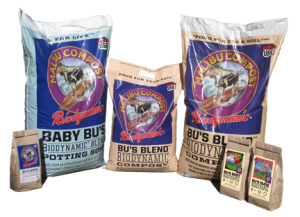 Malibu’s Baby Bu’s Biodynamic® Blend Potting Soil is a mix of high quality compost sourced from pasture-fed dairy cows and a host of ingredients of the highest quality and integrity. 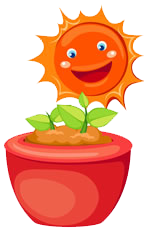 This creates a potting soil that supports vibrant plant & soil life. For Raised Beds, Pots, Container Gardens, Hanging Baskets, & Houseplants, this mix is ready to use straight from the bag!